On Tuesday, July 23, The Food and Drug Administration (FDA) will release a draft guidance for organic egg producers (and other farmers who allow outdoor access for their chickens) to comply with its salmonella food safety rule, which went into effect in 2010. The draft guidance is in a Question and Answer format. The public comment period is sixty days, and the FDA is seeking input from organic industry stakeholders. There is ample scientific evidence showing that confining chickens to battery cages, large flock sizes, infestation with flies and rodents, and forced molting (a practice banned in organics) are risk factors for salmonella contamination. 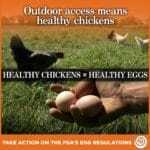 Yet rather than address these documented risk factors, which are common on non-organic, large-scale confinement operations (“factory farms”), the FDA is focusing on outdoor access and making it harder for organic farmers, who afford their chickens access to the outdoors, to comply with FDA regulations. 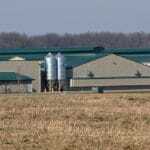 Wild birds were never addressed in the FDA’s salmonella rule, and studies have not consistently shown that farms where hens come in contact with wild birds are more likely to have salmonella contamination. We question why the FDA’s guidance document focuses on reducing contact with wild birds when wild birds present a low risk factor. Countries in the European Union do not limit outdoor access and require at least 43 ft2 per bird of outdoor space. These countries are having great success with reducing salmonella rates without interfering with outdoor access. Published studies show that cages, flies and large flock sizes are the real risk factors for salmonella contamination, yet the FDA spent considerable resources to draft guidance specifically for organic producers with outdoor access. 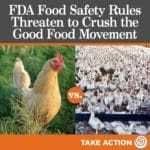 If the FDA were truly concerned with consumer health, it would phase out cages and large flock sizes. 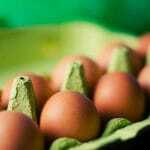 The FDA’s egg safety regulations clearly prohibit its enforcement staff from interpreting the rules to interfere with farmers complying with USDA’s national organic standards. Those standards require “access to the outdoors” for all organic livestock. From our discussions with FDA personnel we understand this guidance will add unnecessary burdens for producers with outdoor access to comply with the regulations (possibly making true outdoor access economically and logistically impracticable). Family-scale organic farmers are placed at a competitive disadvantage by the USDA abdicating its legal responsibility to enforce the organic law. Consumers, who for good reason believe organic chickens are being cared for in a more humane manner, equating to healthier and more nutritious eggs, are taken advantage of. Preventing unfair business practices, and defrauding consumers, is the reason Congress passed the Organic Foods Production Act in 1990). The FDA salmonella guidance for organic farmers will likely tip the scales even further, advantaging an industrial-scale agriculture sector at the expense of family farmers. 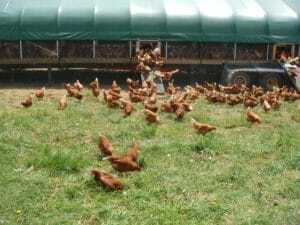 The Cornucopia Institute will carefully review the draft guidance, especially for its impact on organic egg producers who provide meaningful outdoor access to laying hens. We will be carefully analyzing this document as soon as it is available on the 23rd and welcome media inquiries.